For nearly a century, the world’s top musicians have revered the distinctive sound of Hohner piano accordions. 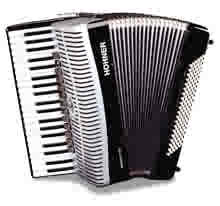 The “Hohner sound,” for which the company’s accordions are famous, originates from the responsive, precisely tuned Hohner reed and the resonant construction of the woodwork. Shortly after the company started manufacturing accordions, this unique sound catapulted the Hohner accordion to the top of the international market, where it continues to be the world’s leading brand. Since the 1930s, when Venancio Morino managed Hohner's accordion manufacturing, the Morino model has been world-renowned as the best piano accordion on the market. The Morino models come in black and are sold with an alluminum framed plastic carrying case. but with five sets of treble reeds.  This accordion provides the musician with additional tone colours and register combinations for playing any style of music. When you play Hohner’s Bravo Accordion models, you’re sure to be a crowd favourite! Hohner has engineered the Bravo to the highest standards of modern technology. The responsive keyboard is housed in a lightweight, smaller-size body with a full-size sound.